If rhubarb hasn’t made its official appearance yet where you live, you can expect this early spring vegetable — yes, it’s a perennial vegetable — to be in markets very shortly. Because of its tart, bitter flavor, it’s generally paired with a sweet fruit like strawberries or raspberries for balance and is used in pies, jams, syrups, soufflés, sauces, and crumbles. You’ll find these and other rhubarb recipes in my cookbook Flavors of Ireland. 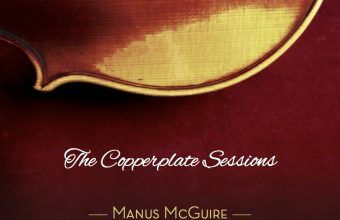 To order a signed copy, visit www.irishcook.com. A crumble, perhaps the world’s easiest dessert, is made with little more than fresh fruit sweetened with a little sugar, thickened with a little flour, and topped with a crumbly mixture of butter, oatmeal, flour and, sometimes, nuts. For another twist, you can use Irish digestive biscuits (such as McVitie’s or Carr’s brand) in the topping instead of the more widely used bread crumbs or oatmeal. This is delicious with vanilla ice cream, clotted cream, or crème fraîche. Make filling. Preheat oven to 350° F. Lightly butter a 9-inch square glass baking dish. Make filling. In a large bowl, combine rhubarb, strawberries, and cornstarch; stir to coat the fruit. Transfer to prepared pan and sprinkle with sugar. Make topping. Combine flour, sugar, and butter in a food processor. Pulse 3 to 4 times, or until mixture resembles coarse crumbs. Transfer to a small bowl and stir in crumbled biscuits. Sprinkle over fruit and bake for 40 to 50 minutes, or until top is browned and crisp and fruit is tender. Serve warm with vanilla ice cream, clotted cream, or crème fraîche. This very moist, rich cake with a crispy crumble topping is delicious for breakfast, teatime, or dessert. Serve it plain or with whipped cream or crème fraîche. Make topping. Preheat oven to 350° F. Butter a 9-inch springform pan and dust with flour; tap out excess. In a small bowl, combine butter, sugars and cinnamon; whisk in eggs. Set aside. Make cake. In a large bowl, cream butter and sugar with an electric mixer on medium until light and fluffy. Beat in eggs, one at a time, and then beat in flour, salt and milk. With a wooden spoon, stir until soft dough forms. Transfer batter to prepared pan, sprinkle almonds on top, and then sprinkle rhubarb and blackberries over nuts. Pour topping over fruit. Bake for 70 to 75 minutes, or until a skewer inserted in center comes out clean. Remove from oven and let cool on wire rack for 15 to 20 minutes before releasing sides of pan. Slice and serve with whipped cream or crème fraîche, if desired. Pound cake is one of those reliable cakes that every culture seems to embrace because it goes well with everything. For an unusual springtime topping, try a slice with this roasted rhubarb and a dollop of whipped cream. Make cake. Preheat oven to 350º F. Grease a 10-inch tube or bundt pan and dust with flour; tap out excess. In a large bowl, cream butter and cream cheese with an electric mixer on medium until light and fluffy. Beat in sugar, and then beat in eggs, one at a time, beating well after each addition. Add flour and vanilla and beat on medium-low for 2 to 3 minutes, or until blended. Transfer batter to prepared pan and bake for about 50 minutes, or until a skewer inserted into center comes out clean. Make rhubarb. Mix fruit, orange zest, juice, and sugar in an ovenproof dish. Cover with aluminum foil and bake alongside cake for 30 to 40 minutes, or until tender. Remove rhubarb and cake from oven and let cool on a wire rack for 15 minutes. Invert cake onto a rack and then return to upright and let cool completely. To serve, cut cake into slices and spoon rhubarb on top. Serve with whipped cream, if desired. The buttermilk in this recipe gives the muffins a light and delicate texture. If you like, add a pinch of cinnamon or a tablespoon of candied ginger. Preheat the oven to 375° F. Spray a standard 12-well muffin pan with cooking spray. In a large bowl, cream the butter and sugar with an electric mixer. Beat in the egg and buttermilk until smooth. Stir the flour mixture into the butter mixture and then fold in the rhubarb. Divide the batter evenly into the prepared muffin cups and bake for about 25 minutes, or until a toothpick inserted into the center comes out clean. Remove from the oven and cool in the pan on a wire rack for about 15 minutes. Turn out and cool completely. This version of the traditional French dessert takes on an Irish touch with the addition of toasted oatmeal and Irish whiskey. Preheat the oven to 375° F. Butter 6 (6 oz.) ramekins. Place the oats into a shallow ovenproof dish and toast them for 10-12 minutes, or until lightly browned. Remove from the oven and pour on the whiskey, which will evaporate from the heat of the pan. Reduce temperature to 325° F.
In a small bowl, whisk together the egg yolks and sugar until the sugar dissolves. Add the cream and oats and stir to blend. Spoon the mixture into the prepared ramekins. Set the ramekins in a large baking pan and add hot water to come halfway up the sides of the dishes. Bake for about 45 minutes, or until the custard is set. Remove from the oven and let cool completely on a wire rack. Cover with plastic wrap and refrigerate for at least 3 hours and up to 24 hours. To make the compote, in a small saucepan, bring the water and sugar to a boil. Boil for 2 minutes, reduce heat, add the rhubarb, and cook for about 10 minutes, or until tender. To serve, preheat the broiler. Sprinkle each custard with some of the remaining 1 tbsp. of sugar. Place under the broiler 4 in. from the heat source for 1-2 minutes, or use a kitchen blowtorch and move the flame constantly over the surface until the sugar melts, bubbles, and lightly browns. Serve immediately with the compote. This free-form or rustic fruit tart is called by many names, most often easy! Try it with fresh rhubarb and a few raspberries and top it with freshly whipped cream flavored with a splash of Irish cream liqueur. Preheat oven to 425° F. Line a cookie sheet with parchment paper. Unroll pie crust in pan. 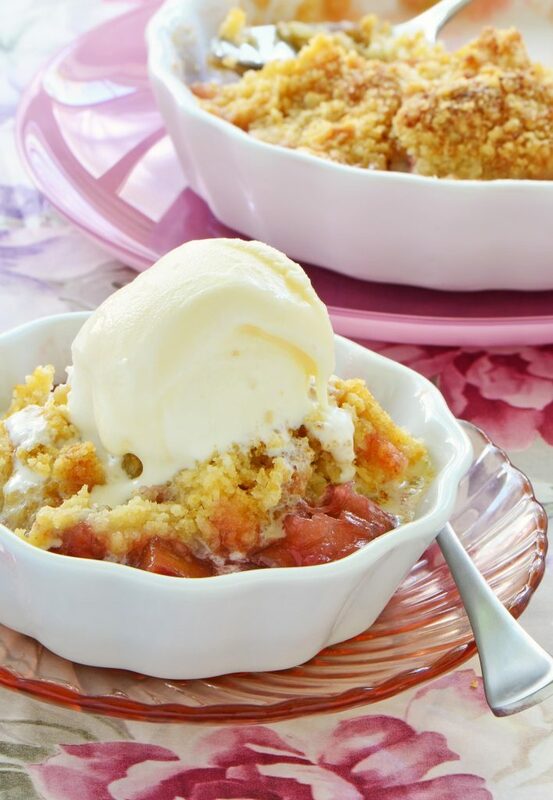 In a medium bowl, combine the rhubarb, raspberries, sugar, and ½ cup of the flour. Sprinkle the remaining ½ cup flour evenly over the pie crust. Arrange the rhubarb mixture in a circle on top of the crust to within 2 inches of edge. Fold edge of crust over filling, pleating crust to enclose filling. Lightly brush the crust edge with egg wash. Bake for 20-23 minutes, or until the crust is golden brown and the rhubarb is tender. Cool at least 30 minutes before serving. 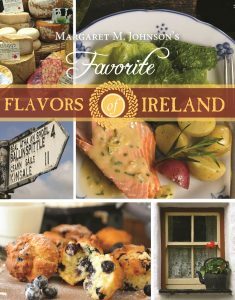 Margaret M. Johnson, the author of 10 Irish cookbooks, will be leading her second tour to Ireland in May 2016. For details, see the ad in today’s newspaper.